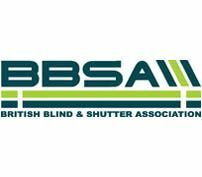 Welcome to the British Blind and Shutter Association (BBSA). Founded in 1919 we are the UK’s only trade association representing companies who manufacture and supply, interior & exterior blinds, security shutters, grilles and associated automated control systems. The BBSA takes a leading role in ensuring the very highest possible standards of product, service and fair trading are delivered throughout the sector. The Association has a strict Code of Practice which ensures members provide the very highest standards. When it comes to the blinds and shutters industry, the BBSA is the largest single source for information and guidance. The regularly updated information on our website is designed to benefit domestic customers, commercial organisations along with interior, building and design professions alike. The BBSA has long taking a leading role in promoting child safety in relation to blind cords and it’s ‘make it safe’ campaign is designed to help end users to understand how to improve safety with existing blinds as well as to inform choice when considering new blinds. For further, impartial information on blinds and shutters or to find a member nearest to you please visit our website.